Australia’s second largest city is seeing its skyline being transformed at the fastest pace ever by Asian developers building residential towers. Now there are concerns too many are going up. Companies including Hong Kong-based Far East Consortium International Ltd., Beijing-based Sino-Ocean Land Holdings Ltd. and Singapore’s Aspial Corp. have flocked to build high-rises in Melbourne as lifestyles change and Chinese demand climbs. Twenty-three buildings taller than 200 meters (656 feet) are being planned or built, the most on record, according to Urban Melbourne, a website that tracks developments in the city. Overseas developers are responding to a shift away from the great Australian dream of a suburban life centered around backyards and swimming pools. They’re also reacting to ever-increasing demand for new, centrally located apartments from Chinese buyers seeking to escape their own faltering housing market and improve their quality of life. 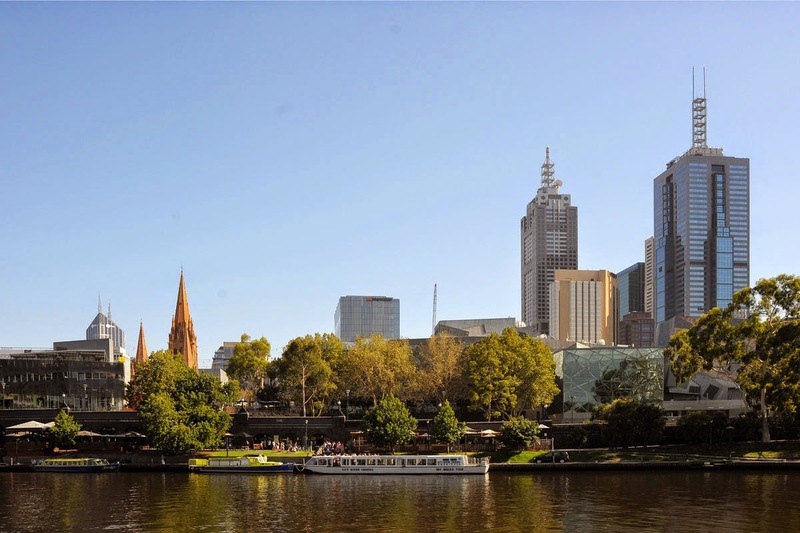 Melbourne was among the 10 most unaffordable housing markets in the latest report by consultancy Demographia released in January, which compares prices across nine countries. About 91,000 apartments in almost 530 projects are in planning or construction across all of Melbourne, according to Urban Melbourne data. Approvals for dwellings excluding houses jumped 66% in August from a year earlier in the greater Melbourne area, data from the statistics bureau showed. Only six towers higher than 200 meters have been built since 1986, Urban Melbourne data show. Convenience, reducing commuting times and a desire to be near city centers are driving a high-rise boom akin to Hong Kong and Singapore, where residential projects include communal swimming pools, barbecues, roomy foyers, theaters and entertainment rooms. Deborah Flanagan, a 57-year-old school teacher, is a recent convert to high-rise dwelling. The life-long country resident and her partner are buying their second apartment in two years on the 60th floor of the 63-story Eq. Tower in Melbourne. Melbourne-based ICD Property is developing Eq. Tower in partnership with Chinese developer Sino Ocean. Closely held ICD was founded by Michael Mai, the son of Mai Boliang, executive director of Hong Kong-listed China International Marine Containers Group Co. While some developers are concerned demand won’t meet the rising supply, Melbourne’s population and home-price growth, and its ranking as the world’s most-livable city for four years running by the Economist Intelligence Unit, are proving irresistible for many, according to Matthew Khoo, development manager for ICD. The city’s population could grow to 7.7 million by 2051 from 4.4 million now, according to estimates from Plan Melbourne, which sets out a blueprint for the city until 2050. The average price of a two-bedroom apartment at Eq. Tower is A$540,000, according to ICD. Apartment values in Melbourne rose 5.2% over the 12 months through September, according to the RP Data CoreLogic home value index. Far East, one of the earliest developers to introduce “Hong Kong-style” high-rises in Australia, is planning a four-tower complex in Melbourne’s center with about 3,000 apartments. The project, with its largest building expected to be more than 300 meters tall, is located across from the company’s other A$1 billion four-skyscraper Upper West Side that’s now under construction. The average price of an apartment at Far East’s development is about A$9,500 per square meter, according to the company. “There are more Asian developers now who have quite a lot of experience developing skyscrapers, more than many of the local developers,” said Louis Christopher, managing director of Sydney-based SQM Research Pty. Many of them are building apartments in Australia to satisfy growing demand from foreign buyers, he said. Australia is the No. 1 destination for Chinese seeking to emigrate after Canada, which in February implemented restrictions on foreign investment and immigration, according to a report by CLSA Asia-Pacific Markets. Chinese were the biggest investors in Australian residential and commercial property in the year through June 2013, according to the latest figures from the Foreign Investment Review Board. Foreign buyers accounted for a quarter of demand for new homes and 11.5% of existing homes in Victoria in the three months to Sept. 30, the highest among all states, National Australia Bank Ltd. said in an Oct. 15 report. It did not break down demand by nationality. Among other planned projects is Australia 108 in Melbourne’s center. The project, being developed by Aspial, is set to become the first 100-plus-story building in the Southern Hemisphere, according to a Victorian state government statement in June. The tower, at 319 meters, will include 1,105 units. The state government also approved a 75-story tower with 622 apartments, being developed by Melbourne-based Golden Age Group (Note by The Folks @SG PropTalk: project name is Victoria One, designed by Elenberg Fraser architects. We also found a video presentation of the project) . In addition to traditional amenities including pools and gyms that many apartment buildings have, extra features include poker rooms and guest lounges to help attract buyers, Golden Age founder Jeff Xu said. “The house on a quarter-acre block is losing relevance today,” Xu said in an e-mail. The government of Victoria, of which Melbourne is the capital, estimates about 1.6 million additional homes would be needed to accommodate the city’s population growth, with apartments and townhouses making up two-thirds of these, according to Plan Melbourne. The state government’s goal of higher density, which it is facilitating by rezoning certain areas to allow for high-rises, is encouraging developers, even when the demand to absorb the new supply is not evident, according to Andrew Wilson, senior economist at property information firm Domain Group. No Comment to " Skyscraper Boom in Melbourne Flags Glut "